"Suis je gentille ainsi? Allons, il le faut..." from the opera "Manon"
Symphonie No 9 E minor, op 95 - "From the New World"
Every year since the start of the new millennium Munich’s Odeonsplatz has been transformed into an atmospheric open-air concert venue. 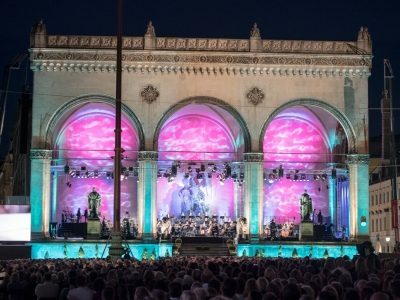 For one weekend in July the Bavarian Radio Symphony Orchestra and the Munich Philharmonic perform al fresco for an audience of around 8,000 music-lovers against the picturesque backdrop of the Residenz, the Feldherrnhalle and the Church of the Theatines. 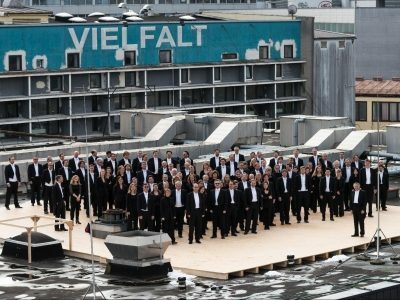 This year the Bavarian Radio Symphony Orchestra will already be appearing on the Friday evening and performing a largely French programme during the first part of the concert. The star guest is the soprano Diana Damrau, who begins with the famous Gavotte that is sung by the hedonistic heroine of Massenet’s opera Manon, before delighting her audience with the Jewel Song from Gounod’s Faust – a contribution to the Munich Faust Festival that coincides with the bicentenary of the French composer’s birth. 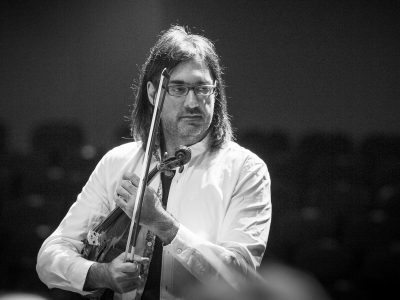 The Romanian conductor Christian Măcelaru, who has recently been appointed head of the West German Radio Symphony Orchestra, will also conduct two of Satie’s more meditative Gymnopédies and the magical “Méditation” from Massenet’s opera Thaïs, in which the solo violin part is taken by the Symphony Orchestra’s concertmaster, Radoslaw Szulc. Măcelaru opens the evening’s entertainment with a tribute to Leonard Bernstein marking the centenary of the American composer’s birth, conducting the spirited overture of his operetta Candide, before ending the concert with Dvořák’s popular Ninth Symphony (“From the New World”), a work that says more about its composer’s longing for his native Bohemia than it does about America. 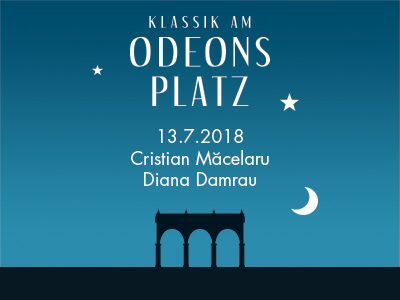 BR-KLASSIK is broadcasting this event live from the Odeonsplatz not only on the radio but also on television and as a video stream on the homepage of BR-Klassik.de. Robin Ticciati has been advised, by the neurosurgeon who has been treating him since his back injury 20 months ago, that in order to ensure the long-term, durable success of his ongoing treatment, he must reduce the number of engagements over the remainder of the 17/18 season. It is imperative that he creates regular periods of rest between periods of activity to allow the rehabilitation process to take its course. Robin Ticciati was hugely looking forward to every one of his projects this season. It is with great sadness that he is having to withdraw from a number of these engagements. He is deeply sorry that he is not able to appear at the 2018 Klassik am Odeonsplatz, but looks forward to his subscription concerts with the BRSO and Alina Ibragimova on March 1 and 2, 2018. The BRSO is very grateful to Cristian Măcelaru for agreeing to take over the Klassik am Odeonsplatz and Bad Kissingen programs, and looks forward to welcoming him back to Munich after his successful debut with the orchestra last season.